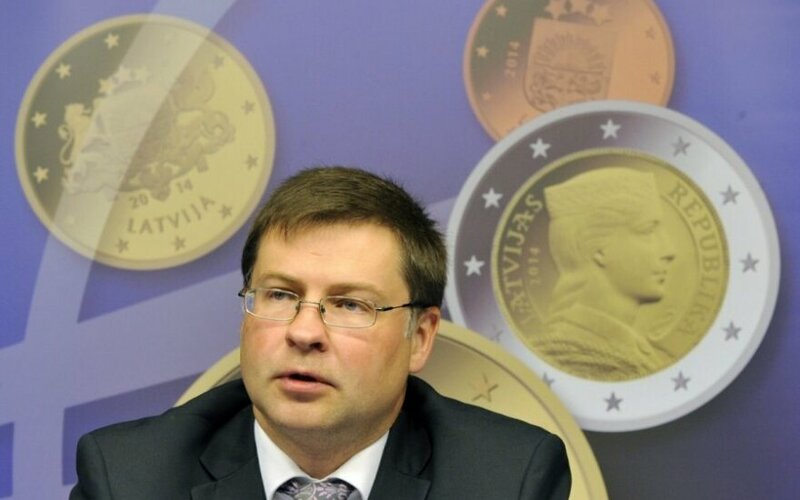 Lithuanian President Dalia Grybauskaitė met with Valdis Dombrovskis, vice-president of the European Commission responsible for deepening the Economic and Monetary Union and promoting social dialogue at EU level. The meeting focused on the introduction of the euro in Lithuania and key priorities of the EU's economic and budget policies, the presidential press service said. According to the president, Lithuania was well prepared for euro adoption, therefore the currency changeover process is going smoothly in our country. By joining the euro area, Lithuania has taken one more step towards deeper European integration, strengthening the confidence of international markets in our country which will contribute to the stable growth of Lithuania's economy. Grybauskaitė and Dombrovskis discussed, as a priority item on the EU economic policy agenda, the promotion of investments to the EU economy and the implementation of the Investment Plan for Europe endorsed by the European Council in December. This plan will help attract EUR 315 billion of private investments to the EU economy and add over 1.3 million new jobs. For Lithuania, it is yet another opportunity to ensure the financing of important projects in energy, IT, transport, and research spheres. The Lithuanian head of state and the European Commission vice-president also exchanged views on carrying through the reforms needed for boosting the EU's economic revival and competitiveness. To this end, it is essential to speed up completing the European single market and reduce restrictions and bureaucratic burdens on businesses across the EU. Among the other issues discussed at the meeting was the need to continue responsible financial policy by all member states, reduce the budget deficit and divert public funds to stimulating economic growth and job creation.